This is a very well written book but it has a misleading title. 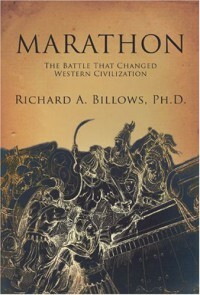 This is not a book about the battle of Marathon it is an introductory text about ancient Greece and Persia up to the point of the battle of Marathon. Of the six chapters in this book only one is dedicated to that battle, 4 to the histories of Greece and Persia to create context, and 1 to the aftereffects of the battle. If you're looking to learn about the histories of ancient Greece and Persia culminating in an interesting battle this is for YOU but if you're looking for an intricate look at the actual battle then this is NOT for you. I was familiar with a lot of the ancient Greek history covered in the beginning of this book so that's why I gave it a lower 3 stars.